Dr Martin Nimmo joined The Wellington Clinic in 2015. His philosophy is simple – to provide the highest quality of patient care, achieving the desired results with the most minimal intervention required, in the most relaxing of environments. Emphasis is placed not only on the clinical treatment, but the entire patient journey, creating a truly bespoke experience. 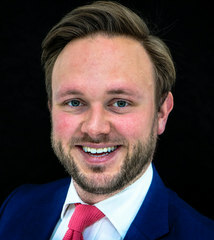 Dr Nimmo ensures adequate time is dedicated to listening to his patients’ clinical desires, discussing all available options, and to planning cases taking both facial and smile proportions into consideration so a harmonious aesthetic union is achieved. Following qualification from the University of Dundee in 2008, where he achieved a distinction in final examinations, Dr. Nimmo undertook 2 years of foundation training in both general practice and specialist hospital departments prior to commencing Senior House Officer posts in Oral and Maxillofacial Surgery. During this time, he also completed his membership exams for the Faculty of Dental Surgery at the Royal College of Surgeons Edinburgh. This breadth of postgraduate training in both the UK and internationally, gives him an extensive range of clinical skills to utilise in private practice, and the knowledge to clearly explain a range of treatment options to patients to ensure they fully informed about their treatment and various options available. His main clinical passions lie in aesthetic and cosmetic dentistry. He provides a range of short term orthodontic systems, and has completed several Invisalign cases, creating beautiful smiles in a conservative manner. Dr Nimmo ensures he is kept up to date with the most contemporaneous knowledge and techniques.